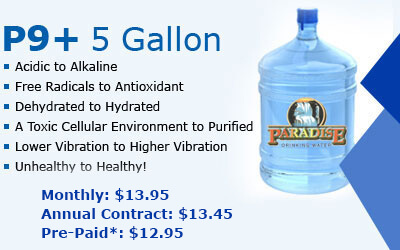 Paradise Drinking Water is proud to be Southern California's leading provider of alkalized P9+ water, the healthiest drinking water available on the market. P9+ water combines the benefits of filtered and natural water, resulting in the only drinking water that truly hydrates and nourishes the body. 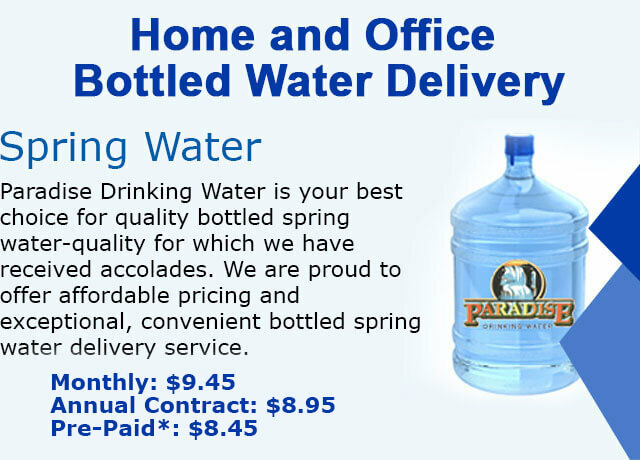 We offer alkalized bottled water for home and office delivery at a fraction of the price of our competitors. You can save more than 75% off Whole Foods' price with every purchase of a 5-gallon bottle, including the cost of delivery! 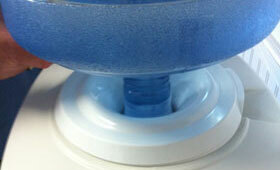 (We only charge a $3 monthly delivery fee; most companies charge between $4-$8 every delivery.) 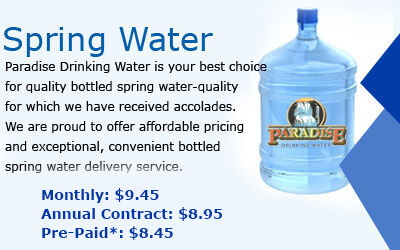 You can save even more when you buy an annual contract or take advantage of our pre-paid program, but that's your choice; we don't require a contract for water delivery. 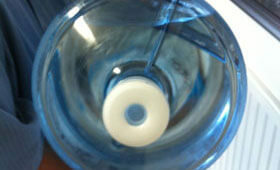 To read more about P9+'s health benefits, see our Alkalized Water page. 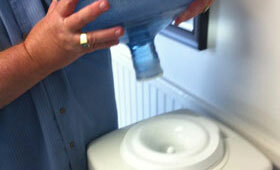 We also offer home and office delivery service for bottled spring water and bottled purified water. 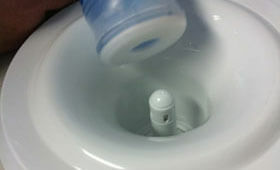 For your convenience, we rent a selection of water dispensers as well, including electric coolers with Watersafe bottle replacement technology, and hand-painted porcelain crocks with oak stands. 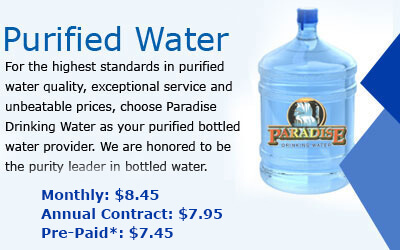 We've received high accolades for the purity of our bottled water and for our superior customer service. 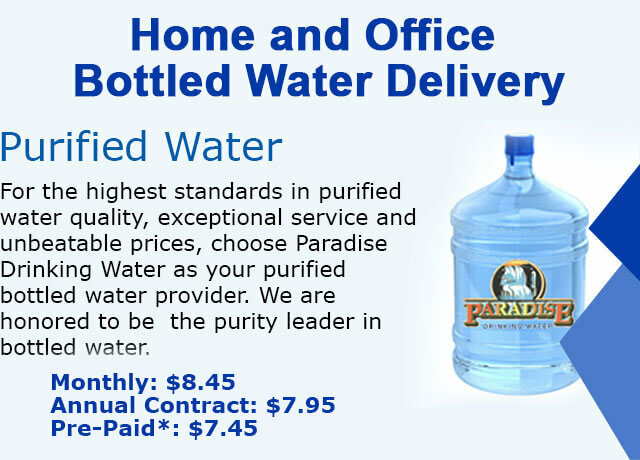 We are committed to upholding that standard, and we make it our top priority to ensure your complete satisfaction with every bottled water delivery. 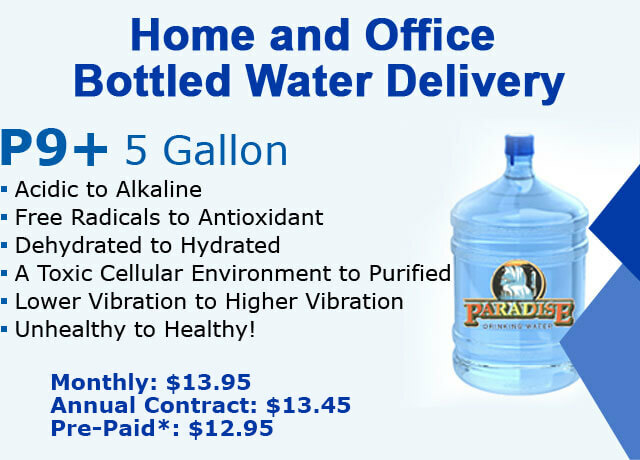 See the rest of our website for additional information about the revolutionary P9+ drinking water, our other bottled water products, and our delivery options. 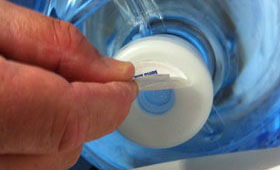 You can also call us at any time to ask questions or take advantage of our free water trial (no contract required).